Software Updates to Symbian S60 3.2 and 5.0 – Anna Browser and new Ovi Maps! What will we be getting? Well, first and foremost, amazingly, we’re getting the new Symbian Anna web browser. I’m not sure exactly how on earth S60 5th will cope with it, but that would be awesome to see it. It’s worth the update (though not meeting the promise of being as good as competitors – namely their own MicroB browser on the N900) But lets keep on the positive – new browser for S60. You haven’t been totally forgotten. There will also be new Maps. There will be different versions for Ovi Maps 3.0 bringing indoor positioning through WiFi as well as travel recommendations (SR4). s60 5th edition will get Ovi Maps SR6 that adds public transport lines as well as check-in services to social networks like FourSquare and facebook. Nok Conv also mentions new sets of emoticons. Apparently the wait won’t be too long. It begins today actually with the Nokia C6-00 (the slide QWERTY one) and 5230 (the cheap 5800). Rest of devices in the following weeks. 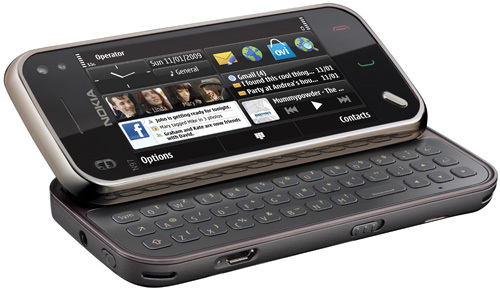 Why no Nokia N97? You know, the flagship S60 5th edition handset? « Custom Ringtones in Windows Phone 7.1 Mango – Convoluted Mess or Creative approach to ‘new’ features?